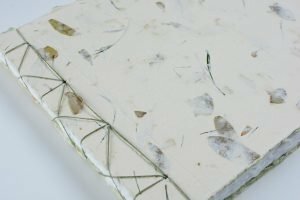 I’m excited to share this fun project with you – a hard cover single signature book that is a perpetual birthday calendar. I created the covers from two pieces of book board and book cloth but there’s no spine strip, just a 3/4″ space. The pages were printed at a local print shop, folded into a single signature and sewn with a simple 5-hole pamphlet stitch. 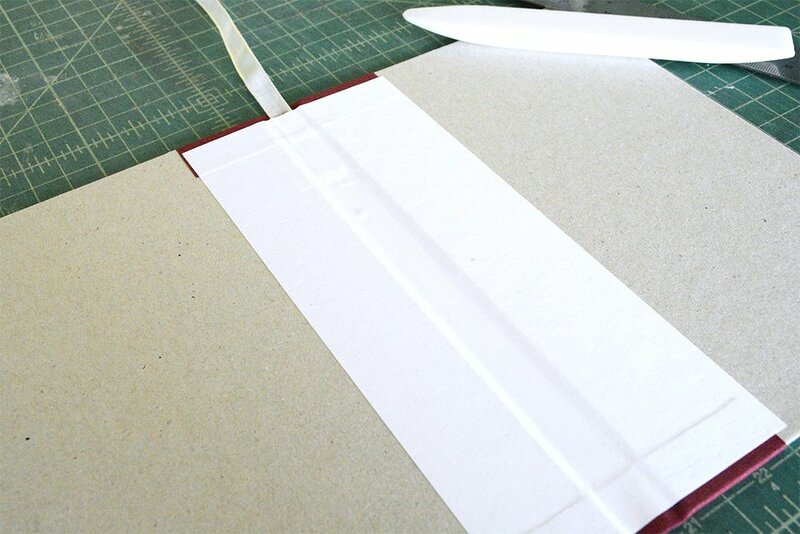 This first and last pages of the stitched booklet were glued (cased) into the cover. 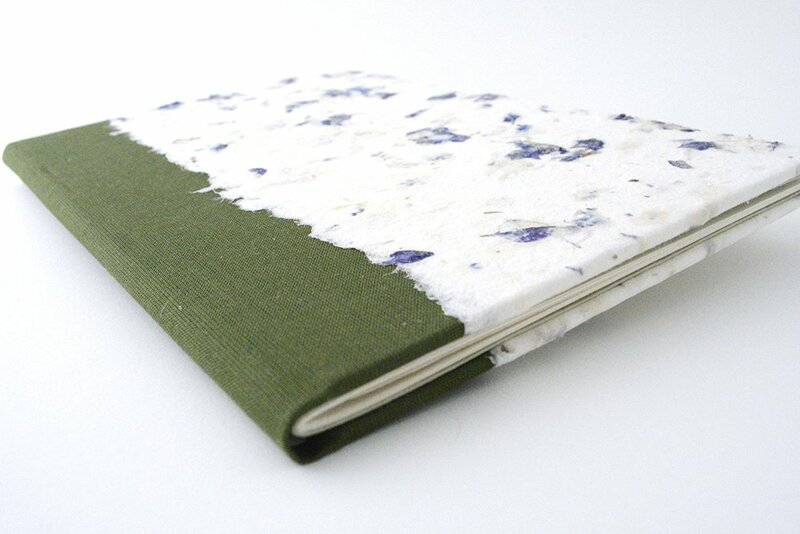 I made several of them and the covers are handmade botanical paper. Before casing in, I included a ribbon to use a book mark. These books are really fun to make and when my new store, Daisy Loves Paper opens, I’ll make a few available for sale. A big thank you to my friend, Sarah Croughwell, who designed and laid out the pages for me. I’m including this in my 50 Book Project as book number 34. This looks lovely, and so useful. 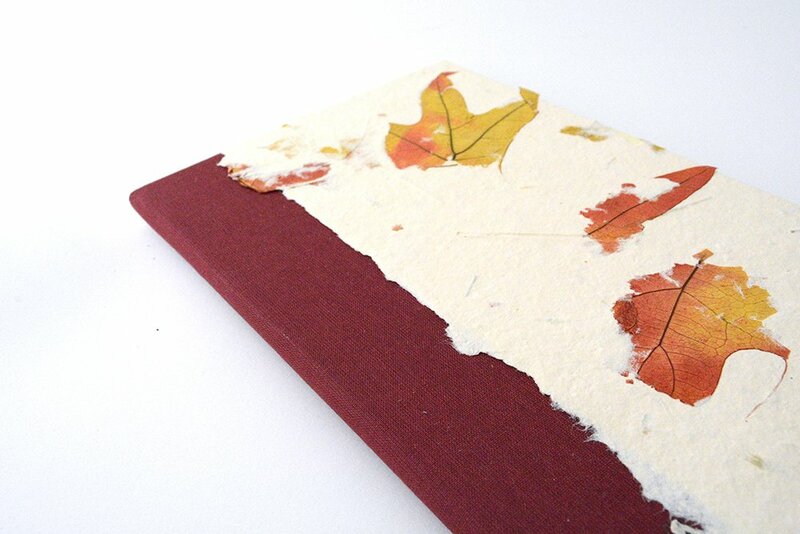 The handmade paper you are using is simply stunning. I will have to investigate sourcing it in the UK. Or I could try and make some myself……. I’ll have to scour Pintrest and YouTube for tutorials to see what is involved. 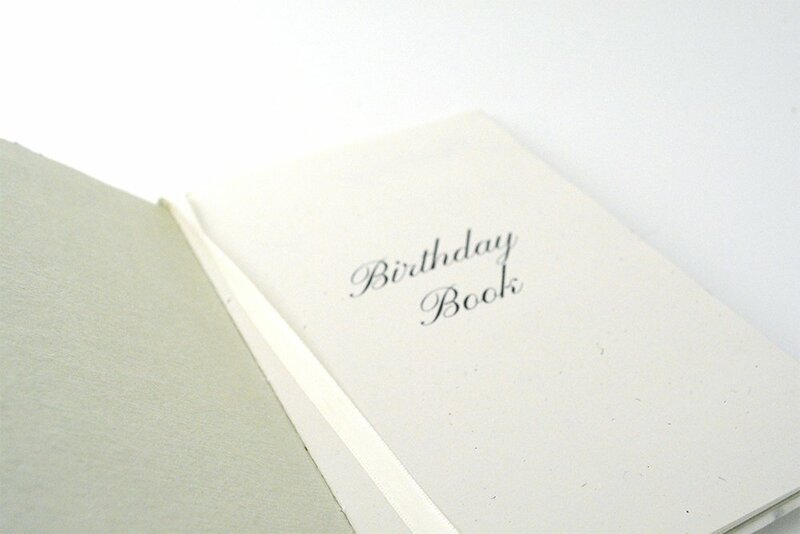 I would love to buy a birthday book or two, particularly with a choice of covers and the signatures printed with the months & days. in your recent newsletter you asked if this would be an interesting kit to assemble the book–I vote YES. I agree, definitely YES make it into a kit. Think it would do really well. Thanks for showing! I’m saving it to a list of things to try. I still have a commercially made one of these that my mother gave me way back in the 1970’s. 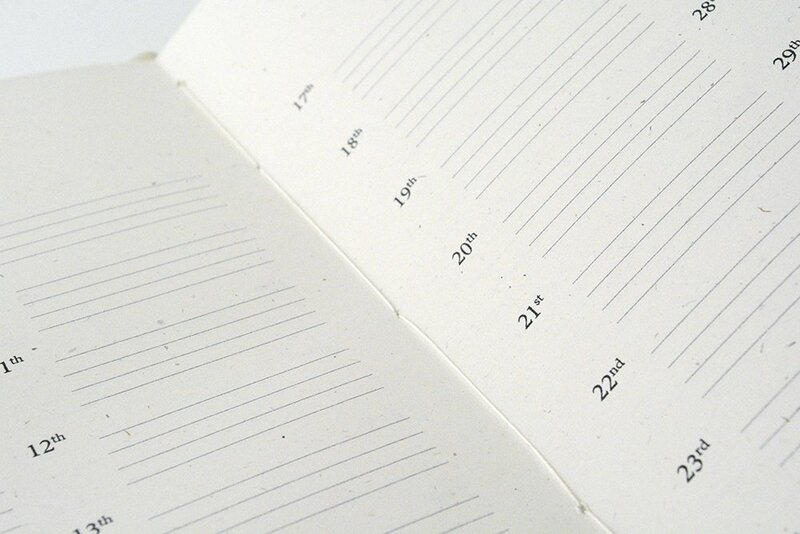 It is a most useful thing for tracking birthdays . . and anniversaries too. 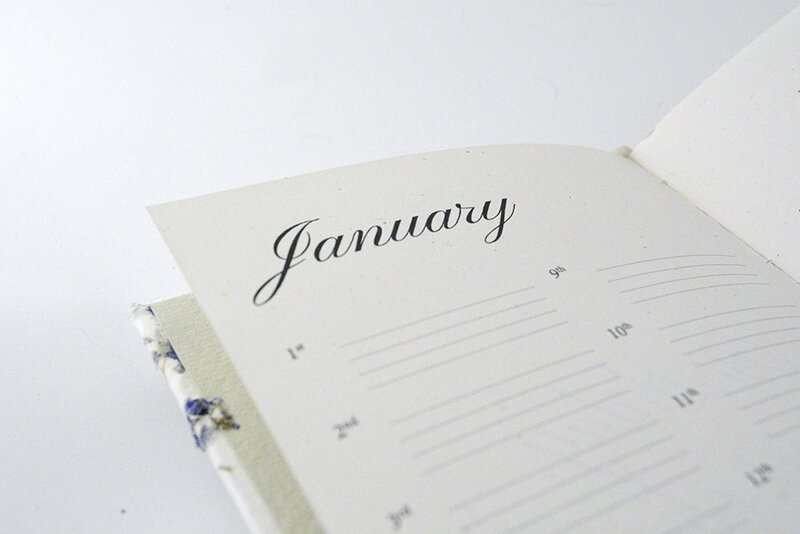 I not only write in the person’s name but the year they were born (or were wed) as babies come into my world – will always know how old they are! Your books are lovely. I’d not thought one could use board covers but not board in the spine – a revelation! The ribbon marker is a nice touch. What a great idea! I would like to try it. And yes, I’d be interested in a kit. May I ask where you got the stunning paper with the fall leaves in it?